When the Stellenbosch University Choir won the category for Spiritual music with the highest score ever to be awarded to a choir at the World Choir Games (98,38%) they were over the moon. Little did they know that they would soon better their own record by dominating the category for mixed choirs with a score of 99%. The SU Choir left for Riga, the capital of Latvia, on 6 July to participate in the World Choir Games organised by Interkultur. They also won the third category they participated in, Musica Sacra, with a score of 95,63%. This means they are the world champions in three categories. Watch video. According to Wilmie Kritzinger, choir manager, the composer of the last work happened to be one of the judges and he gave the choir 10/10. She said the choir was still in shock. “It all feels so unreal!” she added. The SU Choir, with conducter André van der Merwe, dedicated all their performances to the late Prof Russel Botman. Prof Botman, Rector and Vice-Chancellor of SU, passed away on 28 June. They also performed at his funeral service on the day before their departure (5 July). In an interview before the competition Van der Merwe said the choir felt pressure to perform as they are ranked the number 1 choir in the word (according to the Interkultur rankings). The World Choir Games, dubbed the Olympics of choral music, is the largest international choral competition in the world and takes place every two years. At the World Choir Games held in Cincinnati in the USA in 2012, the choir was placed in the first position on the Interkultur world rankings. They were also the winners in two categories: the best mixed choir (male and female voices) and Musica Sacra (sacred music). They won second place in the category popular music. 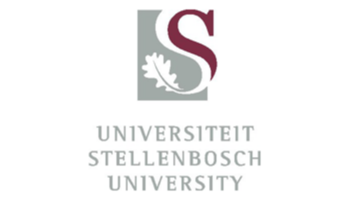 Article issued by Stellenbosch University. To view their profile on SAstudy, click here.